Microgrid Knowledge today announced speakers for its May 19 microgrid conference in Manhattan, a roster of top microgrid leaders from some of the largest U.S. utilities and energy technology companies. 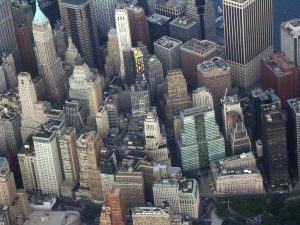 “New York and Beyond: Advancing Microgrids Nationally with Lessons Learned in New York” is designed to shape and propel the industry based on strategies emerging in New York, an epicenter of the microgrid industry. The first-of-its-kind event will feature a series of roundtable discussions to explore new microgrid opportunities and strategies in financing, regulation, team building and customer relations. For communities, businesses and institutions new to microgrids, a special break-out session will offer insight and lessons learned from a panel of peers who are already developing or participating in microgrids. The microgrid conference keynote speaker is Richard Kauffman, New York State Energy Czar, who is leading New York’s ground-breaking energy policy revolution, Reforming the Energy Vision (REV). Micah Kotch, Director of the NY Prize, will offer new information about the state’s $40 million microgrid competition. David Chiesa, S&C Electric’s Senior Director for Business Development, is serving as conference chairman and moderator. 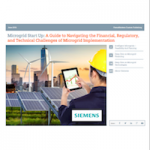 To register or learn more, go to the Microgrid Conference Channel. For sponsorship information contact Kevin@MicrogridKnowledge.com.